So there’s a lot to unpack with this game. It’s not that it’s some giant epic game. There’s just a ton of cool in it, and the more you know the cooler it is. Girl Genius is a brilliant webcomic by Phil & Kaja Foglio, that is rapidly closing on two decades of storytelling. GG is often described as a steampunk story, and if you’re not going to go deeper than this card game the aesthetic is close enough. Close enough, in fact, that Phil Foglio was tapped by Steve Jackson Games to illustrate Munchkin Steampunk. However, for those who might be interested, there’s no punk here and so much more at play than just steam. As such, the Foglios describe it “Gaslamp Fantasy”. It’s such a glorious descriptor, that I’m honestly a bit surprised it hasn’t exploded as its own genre. The current iteration of The Works consists of four 60 cards decks. Each deck is largely unique and intended to play separately. The decks are also largely interchangeable and mixable, but other than wanting to play a longer game there is little reason to do so. 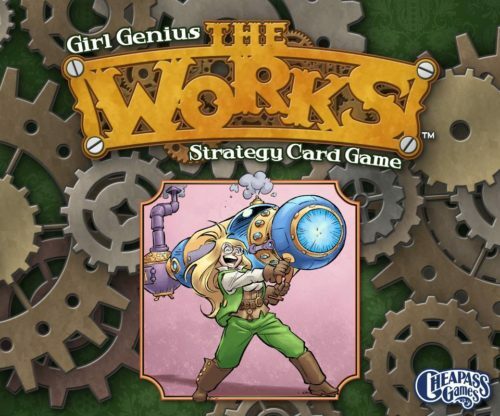 Each deck corresponds to a different story arc in the Girl Genius comics, and the cards are (subtly) labeled for which story/deck they belong in. The gameplay itself is pretty simple. There is a tableau of 12 cards in the center of the table. On your turn, you must Flip one facedown card face up if you can. You then Spin one faceup card 180º. Check the symbols on the outside of the card match an adjacent faceup card, if they match the card with the higher number of symbols “pops”. If the to cards have the same number of symbols, they both pop. If more than one card matches up, they pop as well. When a card pops, it creates an effect, and then (usually) goes into your scoring pile. Popping one card may result in more cards popping in a cascading effect, not unlike Dr. Mario (because the mechanics of this game predates Candy Crush by well over a decade). You finish your turn by replacing the cards you popped, first from your hand then from the top of the deck if needed. Draw back up to your hand size, and let the next player start their turn while you count your score. That’s the easy part. Where the game gets a bit tricky is trying to recognize which cards do what, and remembering that there are often different versions of the same card that have different effects. On top of that, each of the different decks may have further variations of those same cards, some of which may or may not also have different effects. None of this makes the game intrinsically harder, but it does make memorizing the cards a bit harder, and it can slow the game down slightly. Overall I love this game. I have a very long history of not keeping up with webcomics, and my pile of print collections waiting to be read is almost as big as my pile of games waiting to be played. So the storylines that each of these decks follows is mostly lost on me. That being said I’ve been a fan of both Cheapass Games and Phil Foglio for many many years, which makes this game a real treat. In fact I often run demos of Cheapass Games when I’m not doing reviews. Now if you’ll excuse me, I think I have some comics to read. You can find more Girl Genius at www.girlgeniusonline.com or on Facebook at facebook.com/Girl-Genius-28371352860. 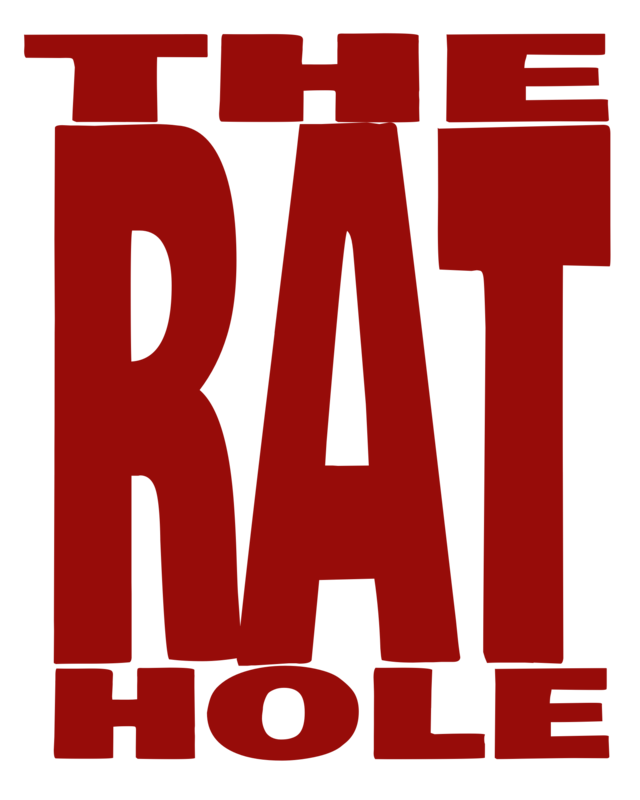 You can find Cheapass Games online at cheapass.com or on Facebook at facebook.com/ActualCheapassGames.